Market Areas: The Woodlands, Shenandoah, Magnolia, Conroe, Tomball, Spring. Susan joined forces with her husband, O.J., in 2003 to form Bobek Realty Group (formerly the Bobek Team) and rapidly gained a Five Star Rating from her clients for her competency, market knowledge and communication skills. 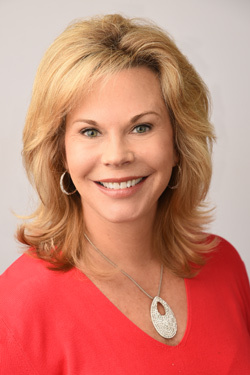 As one of the area’s leading residential real estate professionals, Susan differentiates herself from her peers by her strong marketing and negotiating ability, state-of-the art technical skills, and overall attention to detail. For over 20 years Susan has had hands-on experience in a vast array of real estate dealing , not only of the transaction side of the business but with a notable law firm in The Woodlands as well. As an accomplished Certified Marketing Luxury Home Specialist (CMLHS) and an Accredited Luxury Home Specialist, Susan validates her understanding of the unique needs of the luxury home marketplace. Susan is also an accomplished Accredited Buyer’s Representative (ABR) and is e-Pro Certified by the National Association of Realtors, attesting to her expertise in the competitive online real estate world. 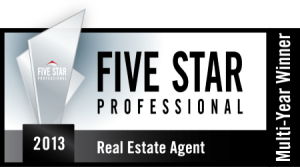 In addition, Susan is a multiple year recipient of the prestigious FIVE STAR Real Estate Award. Only 7% of real estate professionals in the Greater Houston Area receive this prominent award annually. Overall she is widely well respected within the real estate and business community as a true expert in the field.